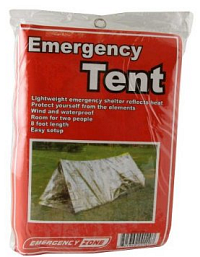 Emergency tents also known as emergency shelter tents can be found at many outdoor shops and of course here on Amazon. The problem which emergency tents is the same as with emergency blankets and that is many companies are making them to be very cheap. Just holding them the wrong way can be enough to tear and ruin it. When buying an emergency tent or shelter to store away in you pack, there’s a few things you need to look for. Make sure it’s says it’s a 2 person tent so you will have a bit of extra room to move. It should be around 8 feet long so your entire body is covered when stretching out. 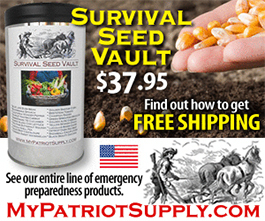 Look for an emergency tent that is fast and easy to set up. If you’ve seen emergency tents and blankets at your local department store, beware that they are probably of cheaper material and lack some of the qualities above. If you live near an outdoors or camping store, check them out and talk to the associates for what they prefer. If you would rather buy online, then you can get some of the best quality emergency tents here on Amazon.